When you hear the mu’adhdhin, repeat what he says, then invoke blessings on me for every one who invokes blessings on me once, will receive ten blessings from Allah. Then ask Allah for the waseelah to be granted to me. It is a position in paradise that may not be granted to any but one of Allah’s servants, and I dearly hope that I will be that servant. Whoever asks Allah for the waseelah for me, my intercession is guaranteed for him. 2)There is no guarantee of the acceptance of a dua (supplication) without invoking blessings on the Prophet (صلى الله عليه وآله وسلم). The supplication is stopped between the heaven and the earth and nothing of it ascends, till you invoke blessing on your Prophet. He who blesses me once, Allah blesses him ten times. Allah’s Messenger came one day with a gleaming countenance and said, "Jibreel came to me and said," (Verily your Lord says,) "Muhammad! Does it not please you that one amongst your Ummah should invoke blessingson you and I should bless him ten times and one amongst your Ummah should send greetings of peace to you and I should send ten greetings of peace upon him. "Whosoever asks for peace on me ten times, it is as if he has freed a slave"
"The mobile (squads) of angels in the earth conveys to me the blessings invoked upon me by my Ummah"
"Invoke blessings upon me, since blessings invoked by you are conveyed to me wherever you may be"
"He who invokes blessings upon me by my grave, I will hear him and he who invokes upon me at a distance it will be conveyed to me." "There is no Muslim who invokes blessings upon me (salutes me), but Allah returns to me my soul till I respond to him in return." I met Jibril who said: I give you good news that Allah has said, "Whosoever asks for peace for you, I ask for peace for him, whosoever blesses you, I bless him." ►Qadi ‘Iyad in ash-Shifa, 2:650. "The angels will continue to bless anyone who blesses me, as long as he continues to do so, so the servant should either reduce or enhance this"
"The miserly is he, before whom I am mentioned and he does not invoke blessings on me"
"Let his nose be smeared with dust, in whose presence I am mentioned, and he does not invoke blessings upon me." ►Tirmidhi, al-Jami‘-us-saheh, b. of da‘wat (supplications) ch.101, (5: 550 # 3545). "He who forgets (abandons) to invoke blessings on me, misses the road (leading) to the Paradise." Ahmad bin Husayn Bayhaqi, Sunan-ul-kubra, 9:286. "If people sit in an assembly in which they do not remember Allah nor invoke a blessing on their Prophet (صلى الله عليه وآله وسلم), it will be a cause of grief for them (on the Day of Judgment)"
►Narrated by Tirmidhi in his al-Jami‘-us-saheeh, b. of dua (supplication) ch.8 (5: 461 # 3380), and he graded it hasan (fair) and sahih (sound). I said, "O Allah’s Messenger, I invoke blessings upon you very frequently. How much of my supplication should I devote to you?” He said, "As much as you like." I said, "May it be a quarter?" He said, "As much as you like, but if you make an increase in that it would be better for you." I said, "May it be a half?" He said, "As much as you like, but in case you make an increase in it that would be better for you." I said, "May these be two thirds?" He said, "As much as you like but if you make an increase in it, it would be better." I said, "May I devote the whole of my supplication to you (that I make in my prayer)?" Thereupon he said, "In that case you would be free from care and your sins would be forgiven. "The most excellent day is the day of Jumu‘ah (Friday). Adam was created on that (day) and on it the Trumpet will be blown and on it will (the people) loose their senses. So invoke blessings on me abundantly on that (day) for your blessings are presented to me"
"Invoke blessings on me abundantly on the day of Jum‘ah (Friday). Verily it is attended and the angels attend it, and none invokes blessings on me but his supplication is presented to me till he finishes it." "Invoke blessings on me, since blessings invoked by you are conveyed to me wherever you may be." 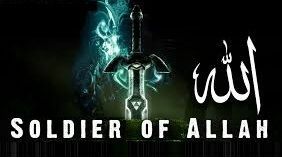 And when he (‘Isa) will stand beside my grave calling: "O Muhammad!" I will respond to him. ►Ibn Hajar ‘Asqalani, al-Matalib-ul-‘aliyah, (4: 23 # 3853).